2. 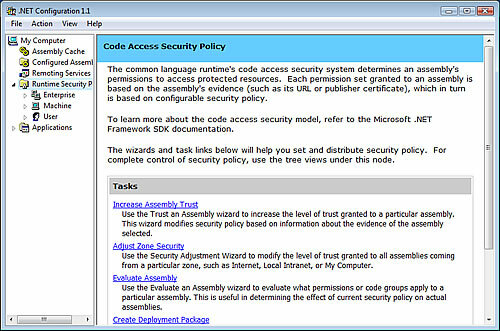 Next, on the left side of the screen choose "Runtime Security Policy", then "Increase Assembly Trust"
3. 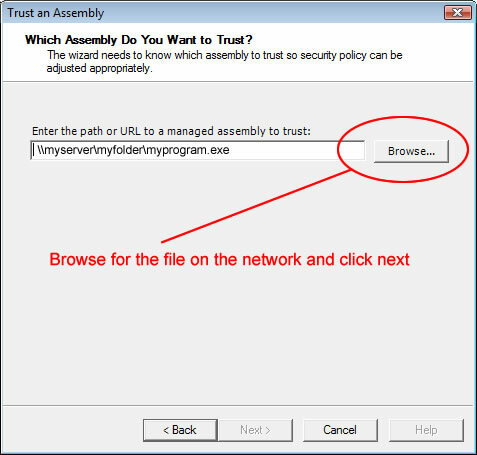 A screen will now display asking you to "Which assembly do you want to trust?". 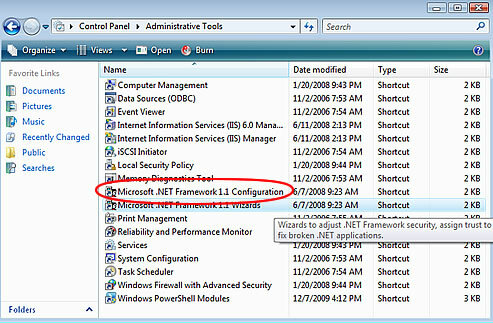 Click the "Browse button to choose the executable file, and click "Next". 4. This will bring you to the following screen. 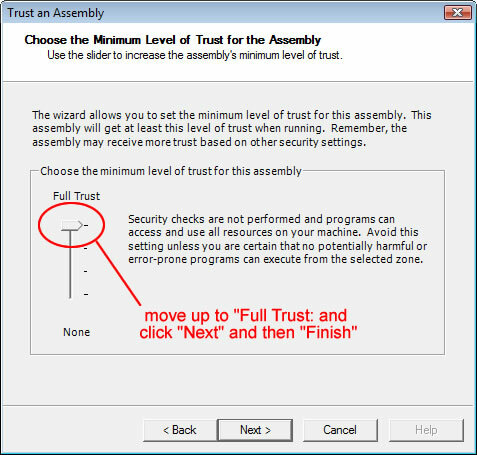 From here, move that bar all the way up to "Full Trust". To finalize these changes, click "Next" and then "Finish"!